The next meeting of the Langlade County Senior Club is Tuesday, October 11, 2016 from 1:30pm to 3pm. We meet at the Antigo Public Library, 617 Clermont Street, in Antigo in the meeting room off of the main hallway. Guests are always welcome to join in on the meal and check us out. There was meeting in September as the library was closed for repairs. Our meeting opens for some general discussion of any member’s previous months activities, any illnesses of members, and recognizes those who have grown one year older. We then hold a door prize drawing for 10 lucky winners as well as play some light-hearted bingo. 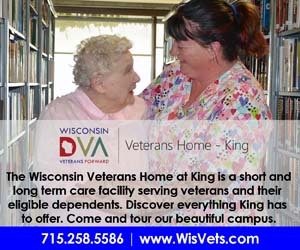 Please call Doug at (715) 623-2253 if you have any questions. Under the president’s report, Doug noted that information is available on the back table: (a) Senior Center calendar of events for August and September and spoke on some of the events; (b) last Friday Alert from the Alliance for Retired Americans and issues to get Medicare allowed to negotiate drug prices, also about the TPP and drug prices would be protected for longer periods and not generic, and article that employer enrolled person into another plan and when she got sick, she incurred bills; (c) some voting records on national- and state-elected representatives and how they did vote. At the August 2016 meeting, the club discussed the following issues: (a) Kathy Schultz spoke on the importance of reading all mail coming to your home, especially if it applies to insurance and Medicare, and said she read a few emails where employers did automatically enroll persons in a managed care plan, which the person did not chose; (b) about taking renters insurance or it could be required as condition of lease; e-insurance could be as little as $14 per month is an average, but shop around for cost and service and coverage; (c) list all property and keep it off site; (d) it is now the law that for observation or outpatient at a hospital for greater than 24 hours the written notice must be given, this is for Medicare certified hospitals. Our Aging Disability and Resource Center office is located at 1225 Langlade Road in Antigo. Check us out and please bring your ideas for club activities which are not only important to seniors but for the betterment of our community. Our procedure is to allow any first time attendee to enjoy taking part in our door prize drawing and bingo. Upon their return at another meeting we would hope they would join.